Designed for every shape and size, this chair features a 400 lb. weight capacity. Back height adjustment, back tilt, tilt lock and tilt tension to allow users to adjust to their comfort level and may help to support better posture and help ease pressure points. Reinforced mechanism for proper body support. Designed for every shape and size, this chair features a 400 lb. weight capacity. Features back height adjustment, back tilt, tilt lock and tilt tension to allow users to adjust to their comfort level and may help to support better posture and help ease pressure points. 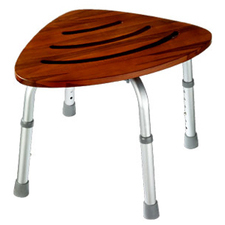 Plus the chair has a reinforced mechanism for proper support of the body. Durable upholstery plus smooth-rolling casters for easy mobility. Recommended Applications: Specialty—Big & Tall; General Office & Task; Seat/Back Color: Black; Arms Included: No; Pneumatic Seat Height Adjustment: Yes.